I’m very tempting, so its said, I have a shiny coat of red, and my flesh is white beneath. I smell so sweet, taste good to eat, and help to guard your teeth. What is the result? 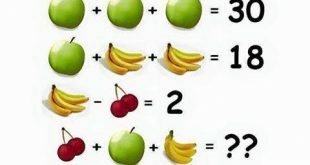 This is a fruit equation. Each fruit has it’s own numeric value. 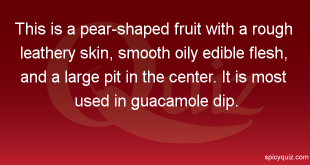 The value is the same for each kind of fruit. You can answer without help. If you can’t you can click below for some help.